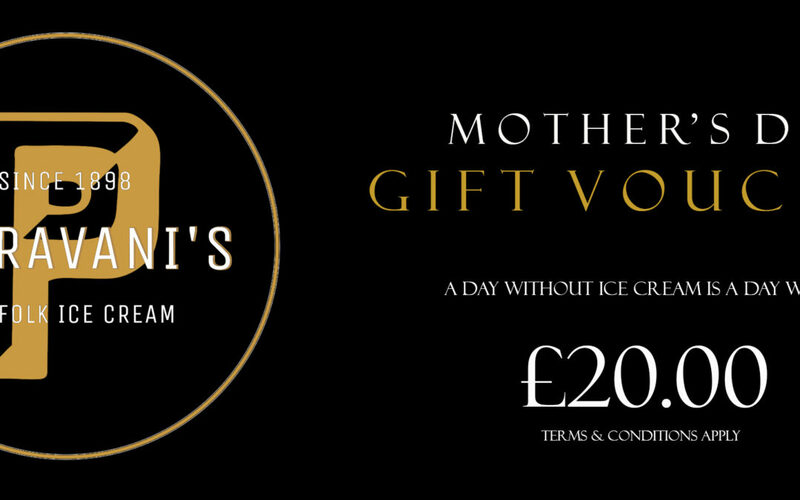 In time for Mother’s Day on the 31st, we now have Parravani’s Gift Vouchers available to purchase; Starting from just £10.00, and going up to well over £1,000,000.00 (that’s a great deal of ice cream love! ), they make the perfect gift, not only to show your appreciation for Mum this special weekend, but as a quick and easy thank you or birthday present. What on earth could be better than free Parravani’s ice cream!!?! To buy your Gift Voucher, call the office on 01502 715970, and speak to one of our lovely girls!